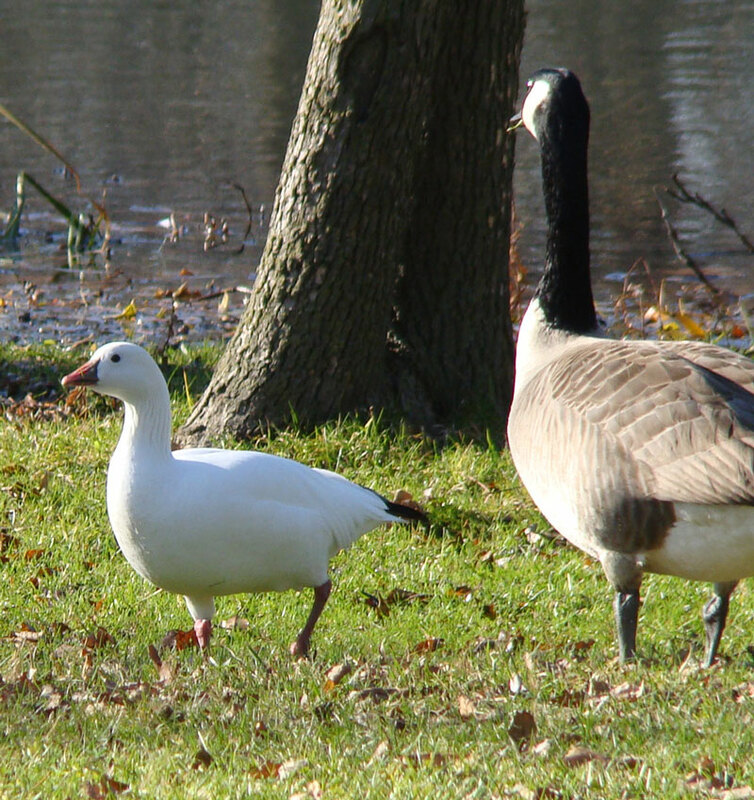 Small, white Ross’s Geese are uncommon in Chicago. When this one visited Douglas Park during November, 2013, many bird watchers came to see it. (November, 2013).